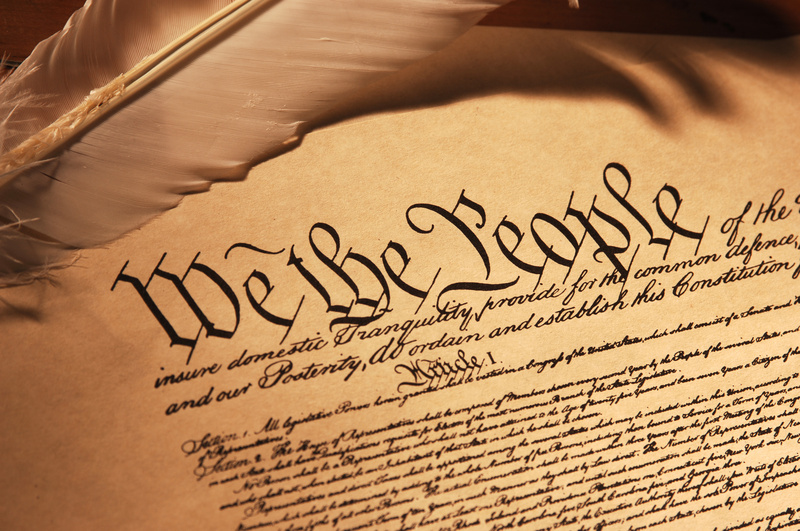 We the people – three words at the beginning of a document meant to bring together and not divide a nation. As a Canadian, I have felt the need to hold my tongue about what has recently happened south of our border. It is not my place to make judgement since I do not live in that country and I did not cast a vote in their election. But what happens in the United States affects me, not as a citizen but, as a human being. What is currently taking place in a country that is my neighbour, that is home to many of my friends and some of my family, is unsettling. I am not writing this blog post with any political view in mind. My beliefs bear no consequence on the words that I am about to write. I am simply afraid that a door has been opened that may require many years to close again. I am friends with some who support Trump and I am friends with some who support Clinton. Their choices are none of my business and the least of my concerns. My worries stem from the divide that has now been created, and that gash in humanity has allowed hatred and idiocy to bubble through its fissure of common sense. Regardless of the outcome of the recent election, we are all still members of the human race. We have made leaps and bounds over the years to become a diverse and accepting population but lately it seems the masses are not listening to understand, they are merely listening to reply and have their own voices heard above the crowd. My heart weighs heavy in my chest tonight and my brain is riddled with concern. Where does our collective society go from here? Will it one day wake up from its hangover, shake it off and say “What were we thinking”? Or is this the beginning of a binge….a need to test the limits of humanity to see how much it can get away with before justice finally catches up with it? We, the people, may not all live inside of the borders of the “united” states. But we, the people, at least the people I have in my circle of friends, live as equal members of the human race and are very simply seeking liberty and justice for all. Beautifully said. This is a tough one to wrap one’s head around. I feel like I’m in a dark, gray cloud since the election, as I know many others do too. I think you have every reason to be concerned. We’ve just put a man with zero foreign policy experience in one of the most powerful positions in the world. Where do we go from here? That is a great question. I think what we’ve just done in the US is taking us 10 steps back from the few shuffles forward we had accomplished in the last few years. The only direction to go is forward, although it is going to be much slower and more difficult process now. I agree with that. Even if, by some miracle, the Electors vote Clinton in on Dec. 19, that will just send the country into another tail spin. We can only keep putting love and empathy back in the pot and hope that pot spills over onto the masses.